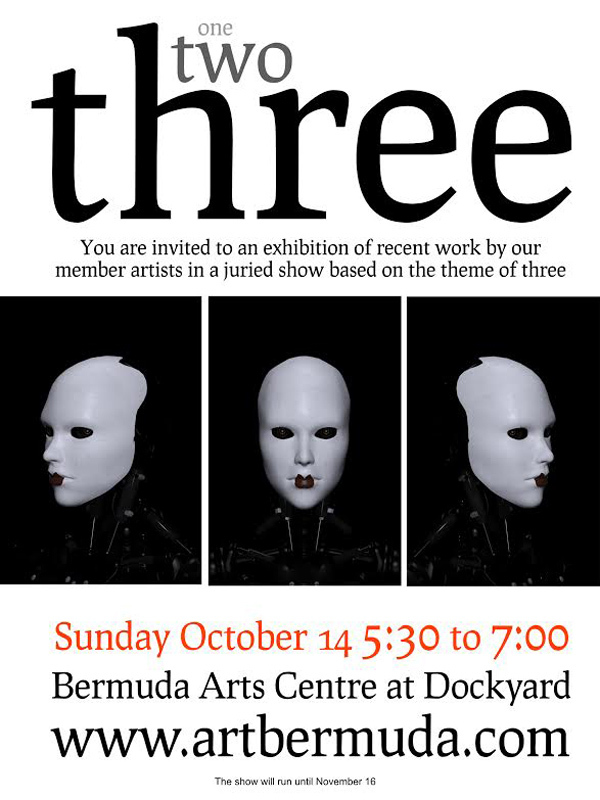 The Bermuda Arts Centre is inviting the public to visit their opening of “Three” this Sunday [Oct 14] at the Bermuda Arts Centre at Dockyard from 5.30pm to 7.00pm. A spokesperson said, “The Bermuda Arts Centre at Dockyard invites the public to attend their opening of ‘Three’ this coming Sunday from 5:30 – 7:00 p.m.
“Anything ‘3’ goes for this show, and we have found that our artists have had fun with the subject. The show offers a variety of media in all price ranges. This is a juried show by our member artists. The show will run until November 16, 2018. “Make a fun day at Dockyard. There’s so much to see and do. Come to the opening and then have dinner at a choice of four great restaurants ! For more information call 234 2809, email: bermudaartscentre@gmail.com or visit artbermuda.com.